Are you thinking about the electronic signature? If yes, I’m sure you probably heard about DocuSign, the leader in the industry. According to Wikipedia, An electronic signature, or e-signature, refers to data in electronic form, which is logically associated with other data in electronic form and which is used by the signatory to sign. Electronic signatures are a legal concept distinct from digital signatures, a cryptographic mechanism often used to implement electronic signatures. If you tried DocuSign and not satisfied with the performance and you are looking for some DocuSign alternatives, you are at the right place. Here we go with some of the best. KeepSolid is my new finding. KeepSolid Sign is the only one quality electronic signature software that provides a free eSignature solution with no limits for free. KeepSolid Sign is available on all major platforms like Windows, Mac, iOS, Android, and on the web. The app also allows them to manage the signing order, to specify relevant access rights, and to add comments to set the record straight. Except for the Digital signature, users can add annotations, like initials. You can import documents from Google Drive, Dropbox, iCloud Drive, Evernote, Finder, or Storage. Here we go with some of the notable features of KeepSolid Sign. Eversign comes next into our list. Eversign is a powerful alternative to DocuSign that used to binding Electronics Signatures. Eversign comes with a free account that supports send and sign up to 5 documents per month. You can use Eversign on your PC, Tablet, and Mobile. Here we go with some of the notable features if Eversign. SignEasy comes next into our list. SignEasy helps you to sign and send invoices, work orders, approvals, etc. There is a plan for every user. There is a $10/month plan available that best for Best for professionals and freelancers $15/month plan available for business users. You have the option to send documents to multiple people for signature in a serial or parallel sequence. Great integration with Gmail, Dropbox, Box, Evernote, Google Drive, etc. HelloSign comes next into our list as the alternative to DocuSign Alternatives. It is one of the Most Powerful platforms for your Business Agreements. HelloSign comes with a free account that lets you send 3 documents per month. Here we go with some of the best features of HelloSign. DocHub comes next on our list. DocHub lets you edit, send & sign PDFs online for free. You can get PDFs and documents signed with DocHub eSignatures and Sign Requests. DocHub is one of the popular services that offer some maximum features for free. 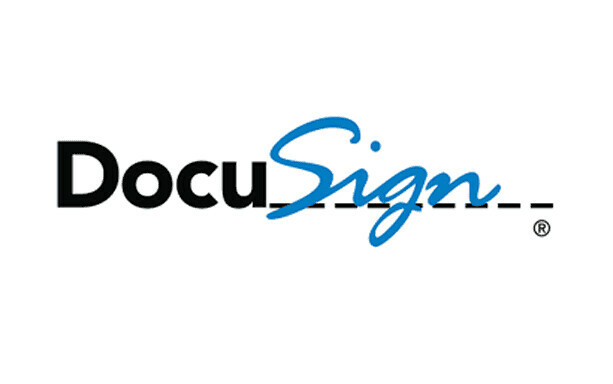 SignNow is another popular DocuSign alternative that comes with competitive prices. One of the best features of SignNow is after you’ve set up your document and saved it as a template, you can create copies of that template, which you can send to signers for their signature. There are no free accounts available on SignNow. Here we go with some of the best features of SignNow. PandaDoc comes next on our list. There are no free plans available on PandaDocv, but you can try different plans like professional, business without Credit Cards. All free trials last 14 days and are fully functional. Here we go with some of the notable features of PandaDoc. eSignLive, formerly Silanis comes next into this list as an alternative to DocuSign. It includes Pre-Built connectors for SalesForce, Box, SharePoint, Office 365, etc. There are only 2 plans available on eSignLive, one is a professional plan and the other one is an enterprise plan. You can try the professional plan for 30 days only need to pay $20 after that. These are our Best DocuSign Alternatives to try in 2018.